The club was established in 1890 at the Britannia Hotel, Sheppey after two local clubs - Sheppey Victoria and Sheppey Invicta took the decision to merge. They played local games for a few years before becoming founder members of the Southern League in 1894. Starting in Division 2, they finished as runners-up in their first season but were not promoted after losing a 'test match' to Clapton. The following season saw another 2nd place finish and this time they were promoted after beating Royal Ordnance Factories. They'd remain in Division 1 for four seasons but despite finishing as high as 7th in 1898, they were relegated two years later. They'd spend one season back in Division 2, finishing 3rd before leaving for the Kent League. 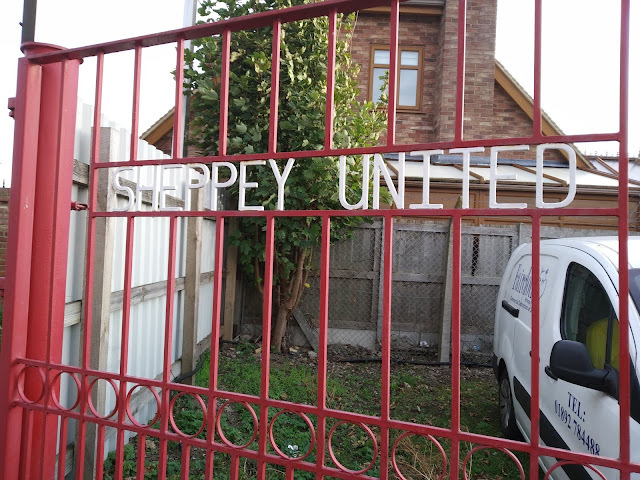 After being crowned champions twice in 1906 & 1907, Sheppey would rejoin the Southern League for 5 seasons in the late 20s and early 30s but despite two 7th place finishes, their time here was largely unsuccessful. 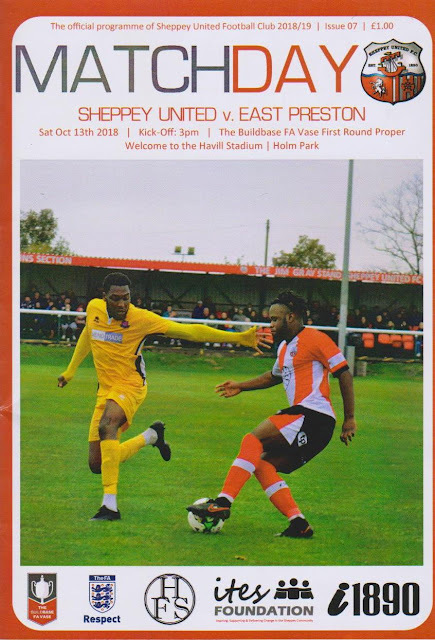 A return to local football followed, with spells in the Aetolian League (1959 - 1964) and the Metropolitan League (1965-1972) sandwiched between regular appearances in the Kent League, a competition that they were largely successful in. 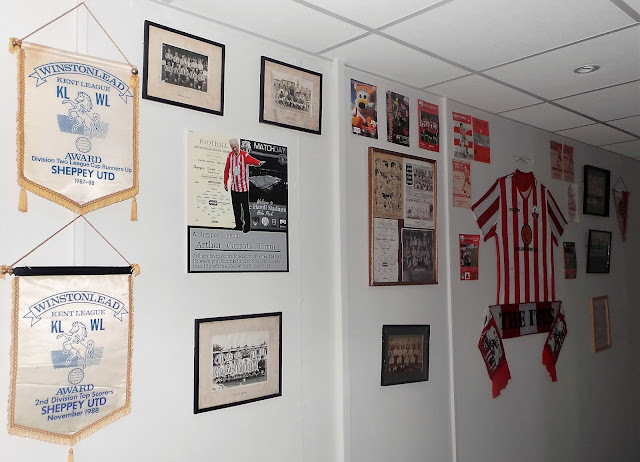 After winning the league three times in the 1970's, they rejoined the Southern League in 1984. Despite finishing 7th in the Southern Division in 1985, they struggled and returned to the Kent League in 1990. They fared well and were champions again in 1995 but in March 2001 they resigned, citing financial difficulties. 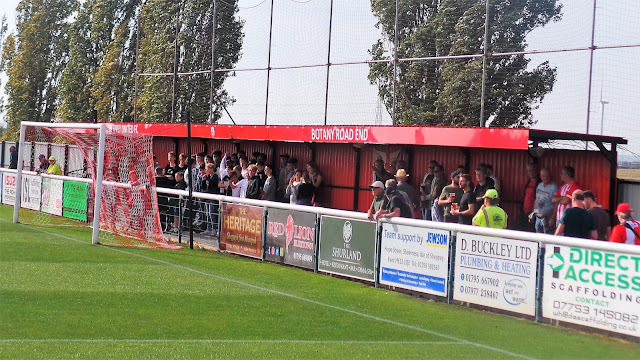 due to being unable to find a home ground and having to share with other clubs. The senior team disbanded, but they still kept the youth team going and this proved useful for when they re-established themselves in the Kent League Division 2 East (step 9) for the 2003/04 season. 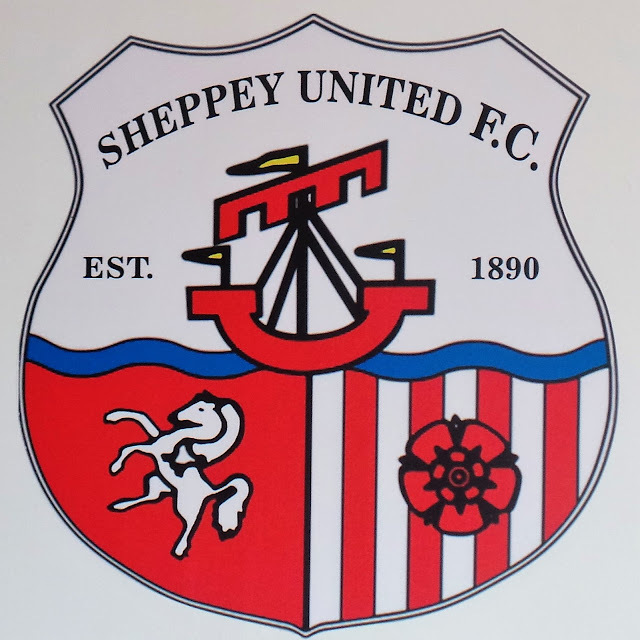 After finishing as runners-up behind Borden Village, they took the promotion to Division 1 East where they were runners-up twice, this under the guise of AFC Sheppey which was the clubs name between 2007-10. 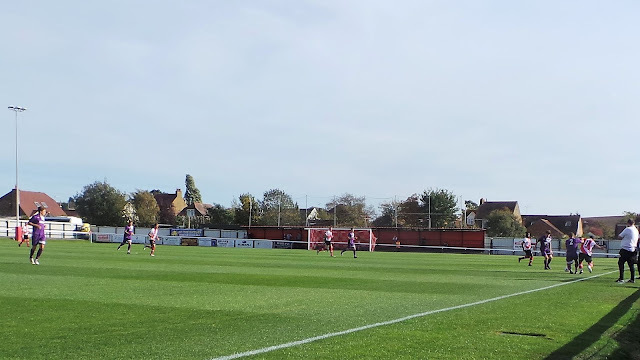 A 4th place finish in 2012 was good enough for promotion to the Premier Division but the club again folded part way through the 2012/13 season, citing lack of players. A merger with Sheerness East led to the club being renamed Sheppey & Sheerness United for a season and despite a highly successful season where they finished as runners-up to Metrogas and earned promotion, they returned to their former name for the 2014/15 season. Two seasons were spent in the Kent Invicta League with a runners-up spot in 2016 being good enough for promotion the Southern Counties East Premier Division. They enjoyed a 6th place finish in their first season, before a mid-table finish last time out. 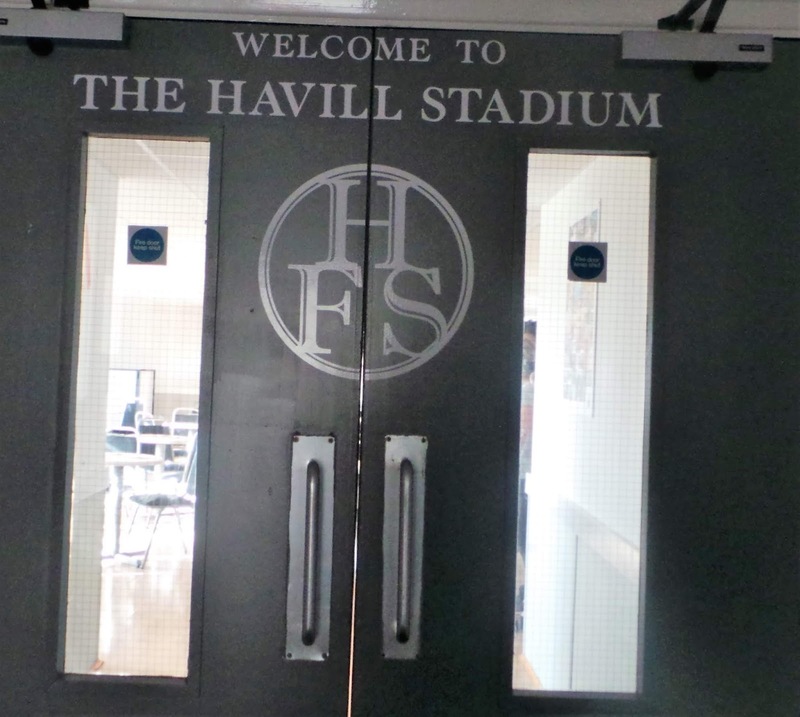 This year has seen them start well and they stood 4th prior to my visit. 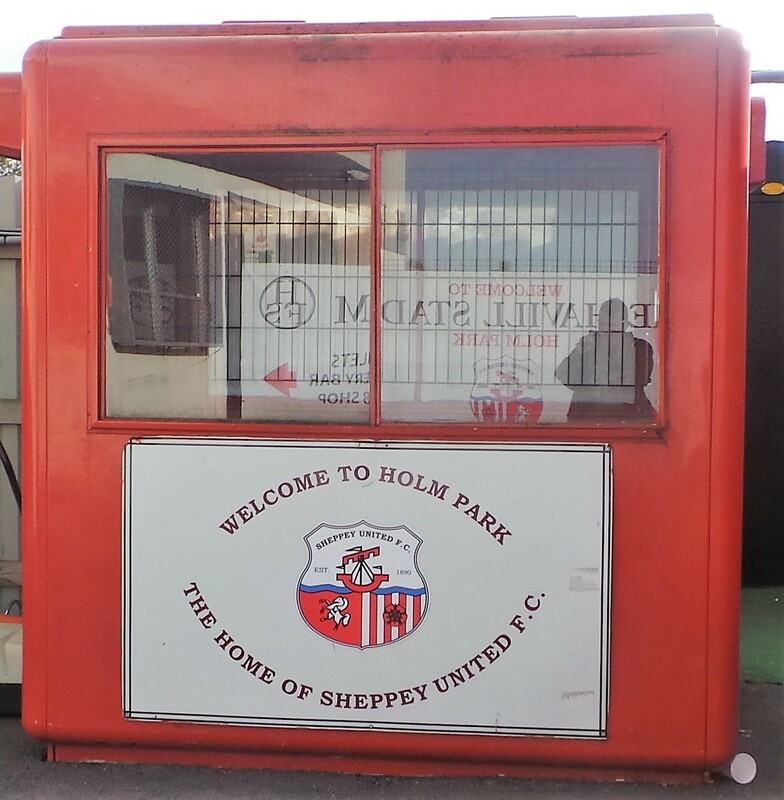 Sheppey United have been regular participants in the FA Cup throughout their history, getting as far as the 6th Qualifying Round in 1919. 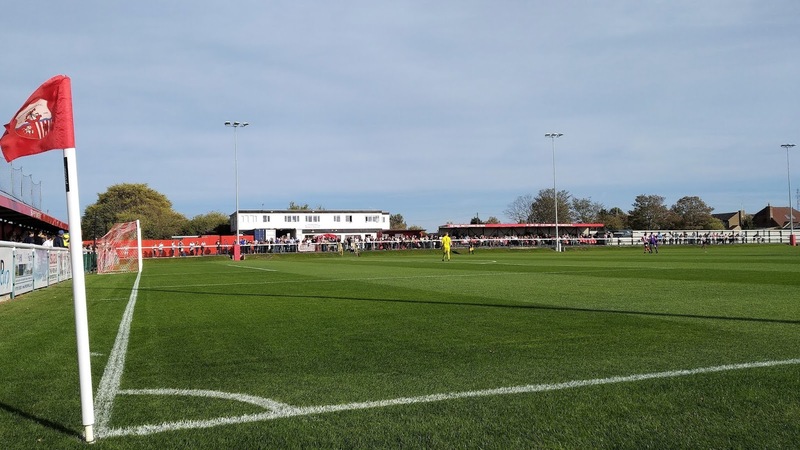 In the modern day, they've made the 2nd Qualifying Round a number of times, lastly in 1998 when they went out to Leatherhead after a replay. 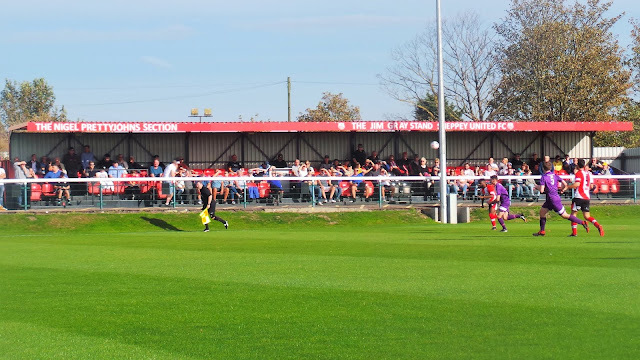 The FA Vase Round has been reached on a few occasions too, though latterly they've competed in the FA Vase. 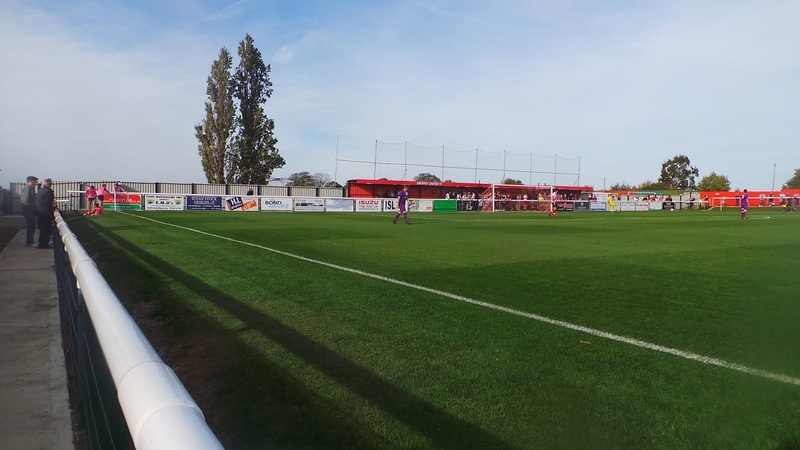 They've reached the 2nd Round twice, the latest as recently as last season when they lost 3-2 to Beckenham Town. Victory on the day of my visit would see them at least match that. Local cup honours include the Kent Senior Trophy (2016), Kent League Cup (twice), Kent Senior Shield (1978), Kent Intermediate Shield (2014), Les Leckie Cup (2006), Kent Junior Cup (East) (2004), Kent Amateur Cup (twice), Chatham & Rochester Charity Cup (twice) and the Sevenoaks Charity Cup (1896). 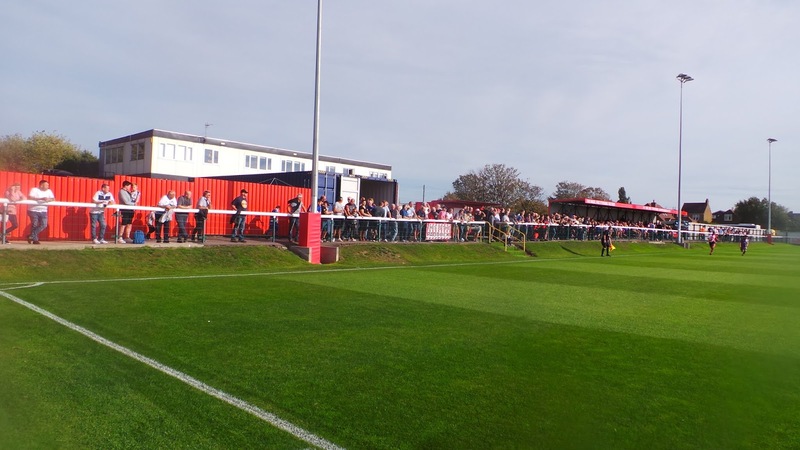 The club hold the record attendance for the Kent Invicta League when 718 fans attended their game against Glebe in the 2015/16 season and the club generally get excellent support for the level. 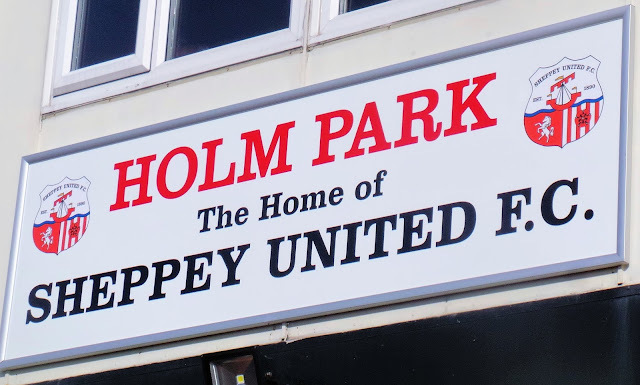 The most famous player to play for the club is Herbert Chapman who played for Sheppey during the 1899/1900 season. He went on to be a highly successful and influential manager, most notably with Huddersfield Town & Arsenal. 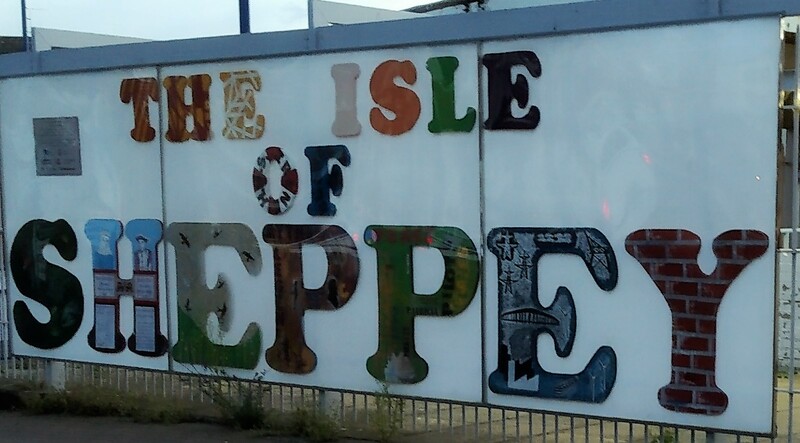 The Isle Of Sheppey has a population of just over 40,000 and is actually an island connected to the mainland by a bridge. The latest of these, the Sheppey Crossing was opened in 2006 and in 2013 was the scene of a 130 car pile-up following fog with 8 people seriously hurt and 30 more hospitalised. 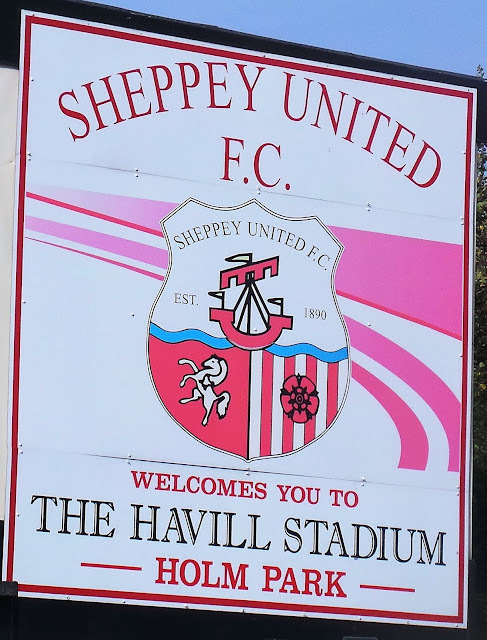 The most famous person to have come from Sheppey is comedian Rod Hull, famous for his double act with Emu whilst footballer Gary Mills was also born there. The island has 3 prisons with a population of over 2,000. They have housed several notorious criminals including serial criminal and road-rage murderer Kenneth Noye. I knew as soon as the fixtures came out back in June that I'd be free on this day as I'd been to Coventry City, where Wycombe were playing on that day, last season. With it being non-league day, I was hoping that there would be a groundhop organised, but there was nothing doing, bar the Bedfordshire Hop that seemed to concentrate on fields. It was FA Vase day, so I decided I'd go and see a game in that competition, preferably on the train. 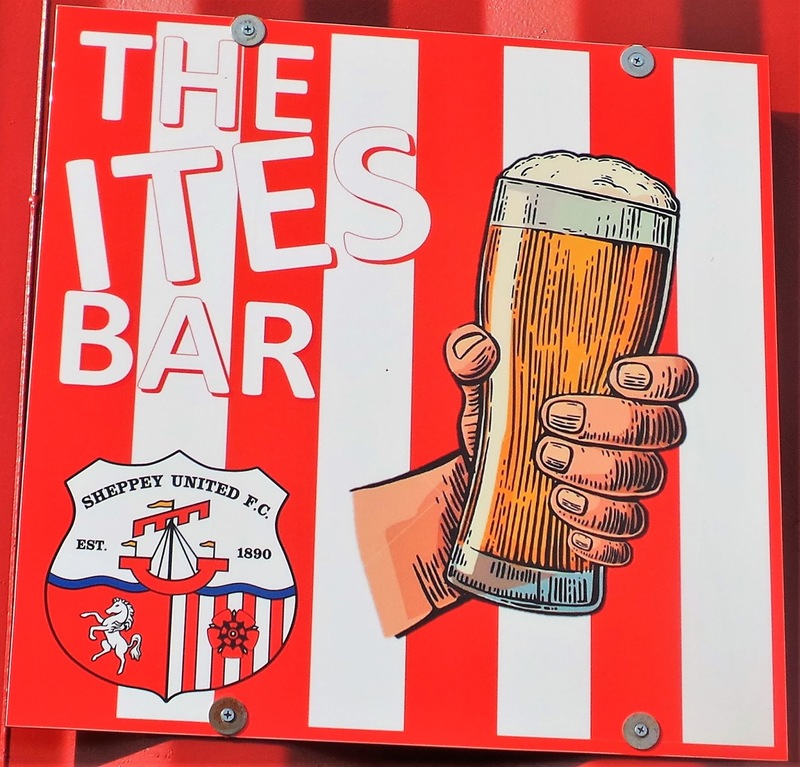 May & Baker was the early favourite, but there was not much in the way of pre-match pub options. I looked further afield and managed to secure a good deal on a return set of train tickets to Sheerness-On-Sea which would allow me to 'tick off' Sheppey United. This was one that was a fair distance by car, so I was glad that I'd be going via public transport. On the day of the game, I was rudely awakened by my alarm at 8 am after not enough sleep. I got dressed and had a sausage and egg muffin for my breakfast before setting off. I got to Amersham station at 9 to be greeted by torrential rain, though I was assured that the weather was better nearer my destination. That turned out to be the case and once I’d got to London Victoria after a couple of changes, it was much brighter. I had around 20 minutes to wait for my train and so went to a shop to get a paper and some drinks. Leaving at 10.40, I changed at Sittingbourne, getting to Sheerness on Sea at 12.15. 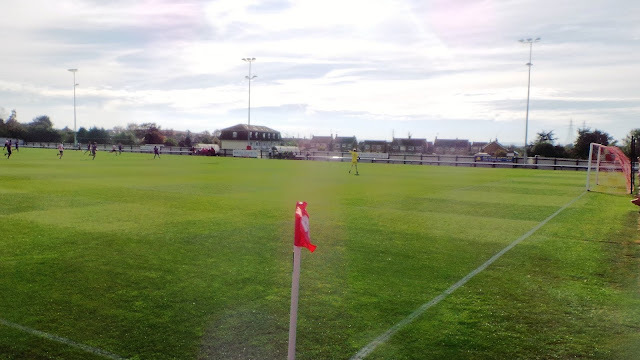 It was a slightly longer walk to the ground than Queenborough but had much better pubs near it. 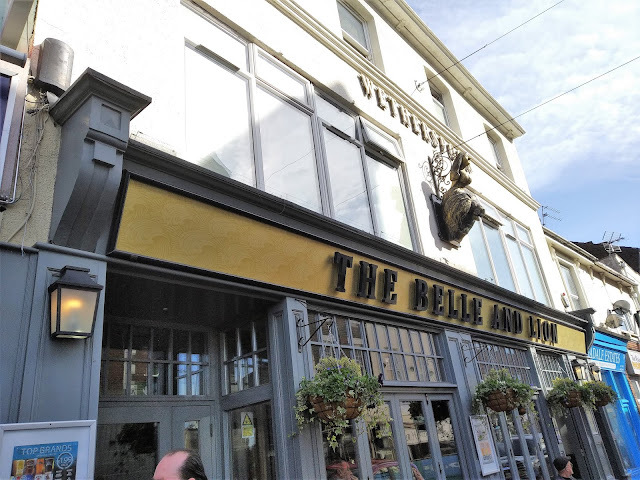 First stop was the local Wetherspoons, the Belle and Lion where I had a pint of Harry’s Scrummage. 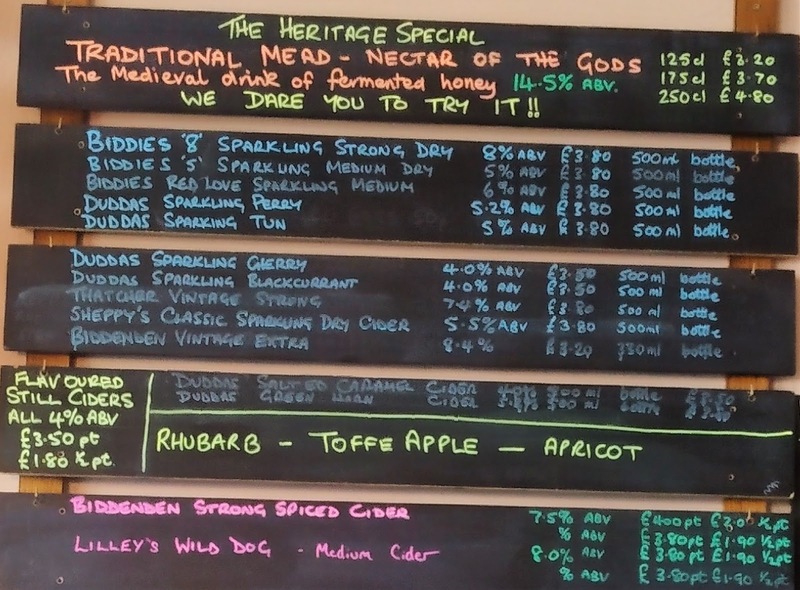 A very pleasant medium cider that came in at £2.95 a pint. Money well spent, though I could have had a pint of something in their festival for a ludicrously low £1.99 a pint, though the choices were a rhubarb cider and a very sweet perry, neither of which I fancied. I walked to my next pub, the Flying Sheep via a very pleasant town centre which had a number of interesting retro shops. Not a horrific indoor shopping centre that I could see and all the better for it. My second pint was a Kentish Pip Vintage, another nice drop in a friendly place. It was conveniently located for lunch at Sheppey Piri Piri where I had a Piri Piri burger and chips with a drink. 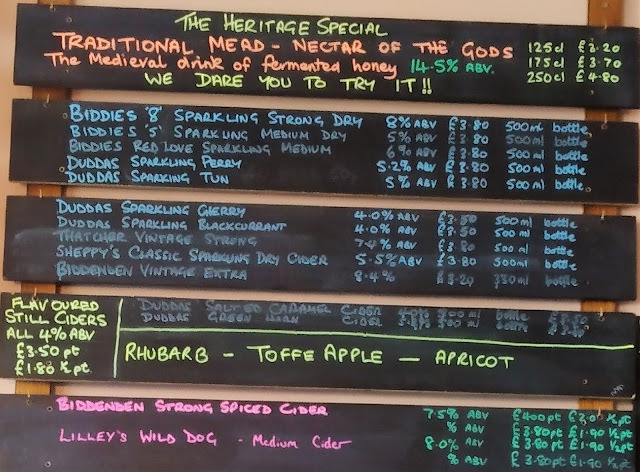 It was then around half an hours walk to the ground with me stopping at another micro pub called The Heritage where I had a bottle of Biddendens Sparkling Dry before making my way to the ground. I arrived pretty much bang on kick off, paying £7 to get in, which seems the standard and fairly reasonable price for this level. It was pretty busy, so I left getting a programme until halftime and went and watched the match. 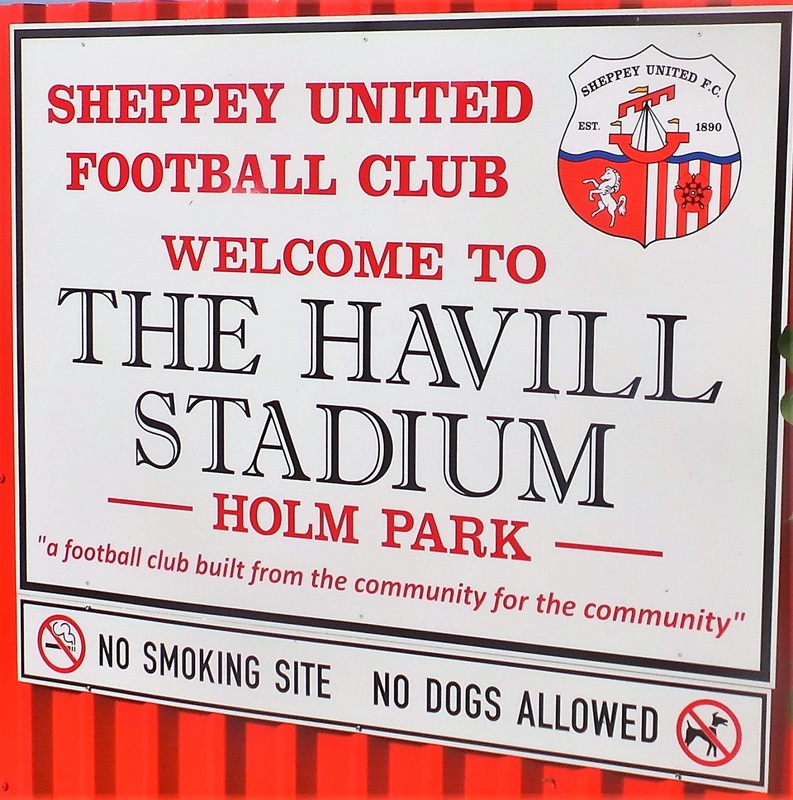 Sheppey United's ground is sponsored by a local funeral service and they made sure East Preston's FA Vase dreams were dead and buried almost straight away. 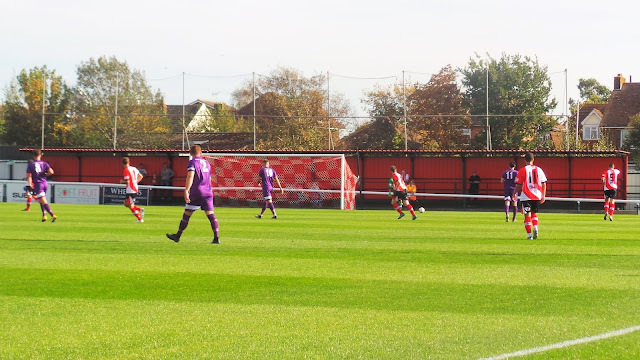 Six minutes in it was 1-0 when a good through ball found Luke Girt and he finished from inside the area. A brace of goals from Dan Bradshaw on 21 and 29 minutes pretty much sealed the game, the second being followed up after visiting keeper George Bentley parried the initial shot. 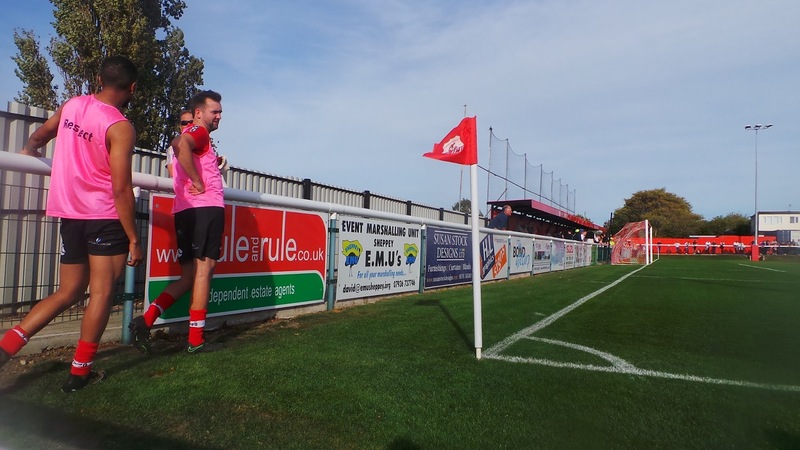 The game didn't see any further goals until the 84th minute when substitute Dave Botterill made it 4-0 and it could have been more. 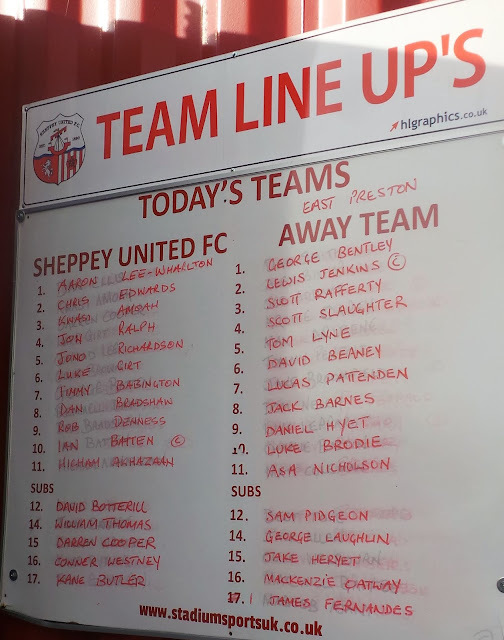 Chances for East Preston were minimal, their best effort a header just wide of the post by captain Craig Jenkins when they were a single goal behind. It had been a very much one-sided game with the vast majority of the 279 crowd going home happy. The support had been decent and the whole place had the feeling of a team and a club that could really go places and garner big support, not that the crowd was not a very good one for the level. I had an hour or so to kill before my train, but it was a fairly long walk to the town and after having a look around some shops and getting some dinner from McDonald's, it was time to go home. I got the 6.15 train back, getting back to Victoria around 8. From there, it was a reverse of the journey I'd completed that morning. 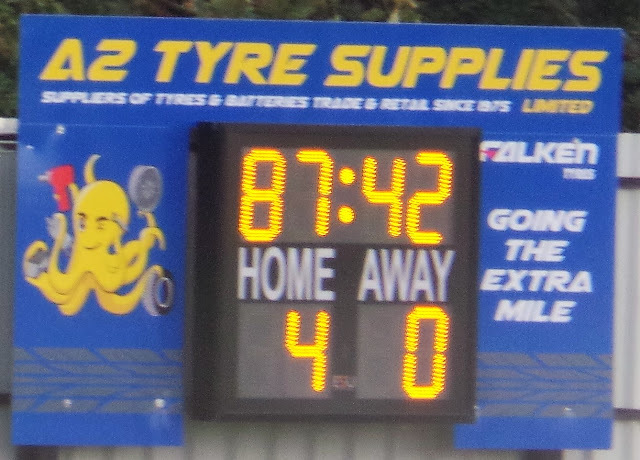 I'd listened to the match summary as Wycombe had lost 1-0 up in Coventry, which was a shame. I got back to Amersham and then home around 9. I had a couple of hours relaxing and plenty of catching up to do before I went to bed around 11. The thought of being up at 4 am was not overly appealing, but it was reality and in the end, it was not hard to get back in the swing of things, work-wise. 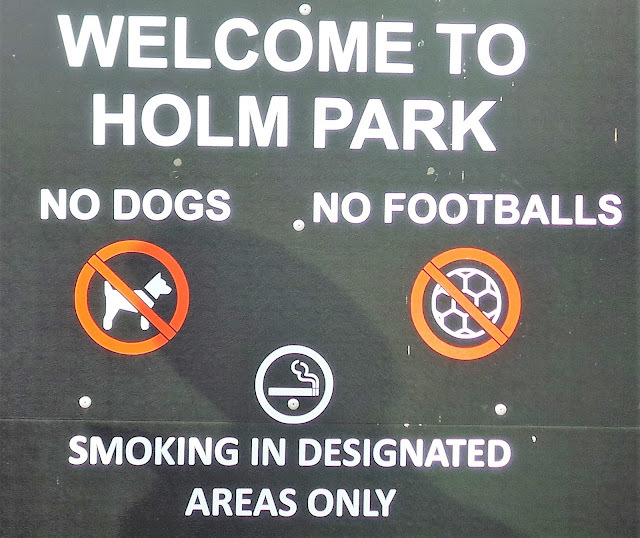 HOLM PARK or THE HAVILL STADIUM (as it is known for sponsorship reasons) was opened for the 2013/14 season. As with many modern grounds, the stands are of the metal variety, although at least in this case they are painted in the club colours of red rather than the standard grey. 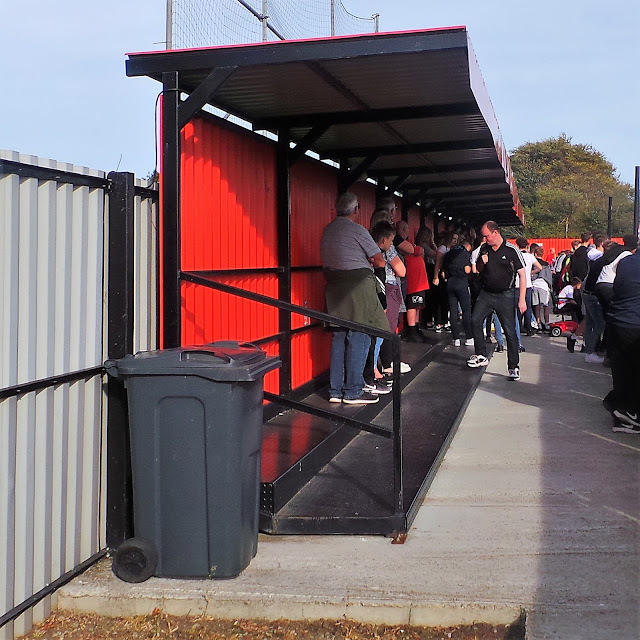 There's cover on three sides with 170 seats and a further 300 standing spaces under cover. The rest of the ground is open and has a capacity of 1500. 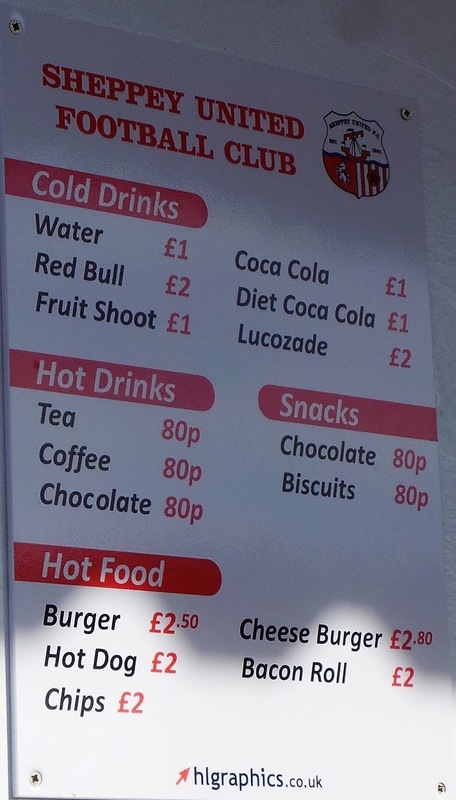 There's a club shop at the ground and this offers a reasonable range of merchandise. The programme costs £1 and is a decent & glossy effort.